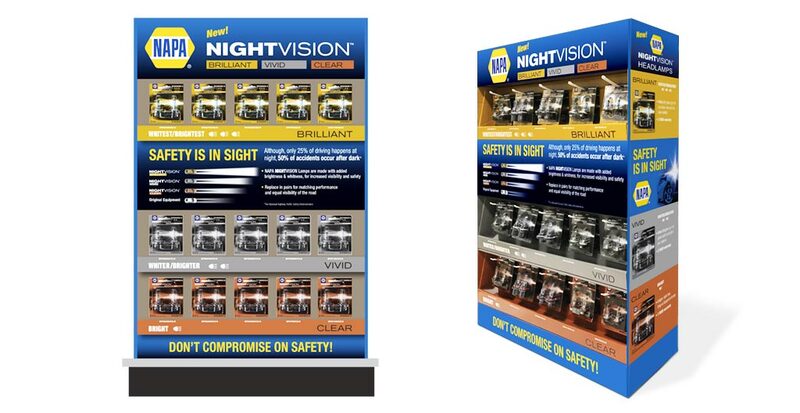 NAPA® Night Vision™ New Product Launch | TFI Envision, Inc.
TFI Envision developed NAPA®’s new premium Night Vision™ automotive lighting product line packaging, sales kit, sales training video and in-store displays. 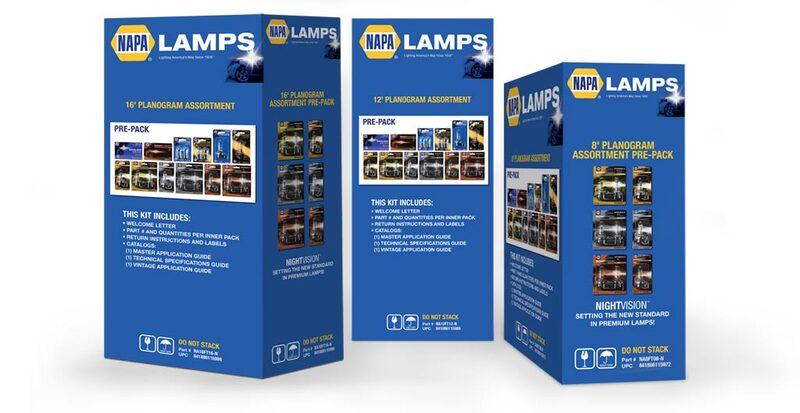 The NAPA® Night Vision™ logo puts the visual emphasis on “Night” since that is the time when lighting is most critical. 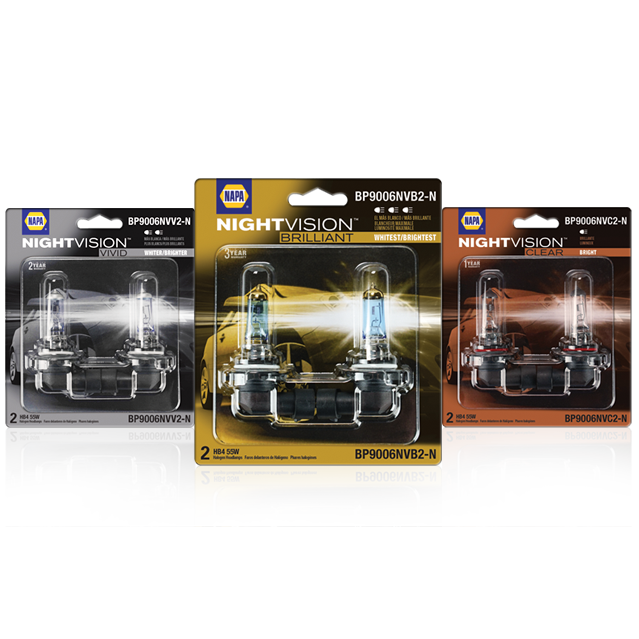 The NAPA Night Vision™ packaging includes three tiers of products from basic to premium – Clear, Vivid, Brilliant – with over 60 SKUs. TFI Envision developed the trilingual, consumer friendly packaging design that incorporates easy-to-understand icons to denote the levels of brightness and distinguish the products performance attributes. 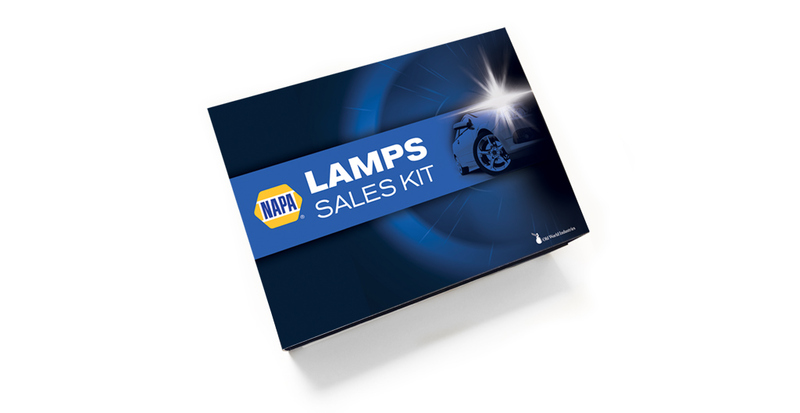 The product part numbers are quickly visible on both top and bottom right, as well as easy-to-identify product warranty information. Bronze, Silver, and Gold colors, with eye-catching metallic elements, add to the premium look and feel. 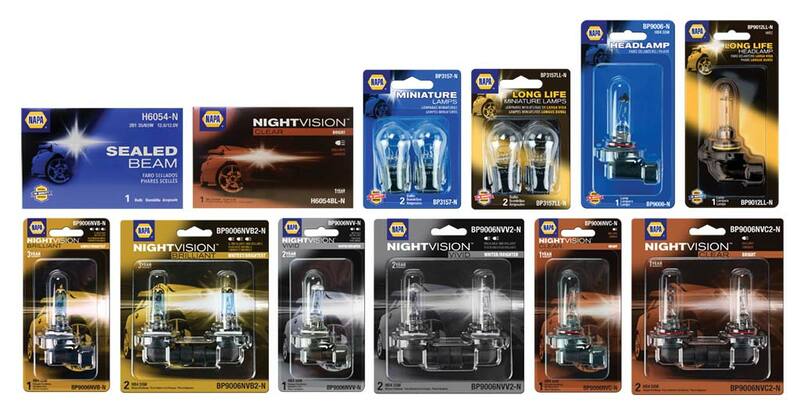 The duotone vehicle image coming towards you with a bright white highlight appearing behind the bulb makes the product ‘pop’ off the shelf. 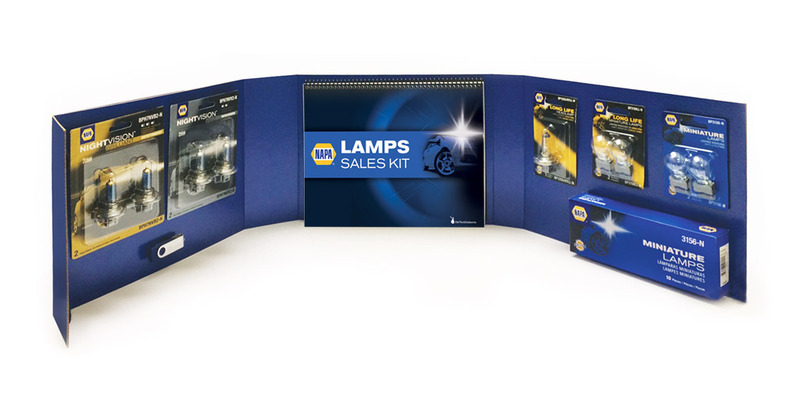 We maximized each side of the unit as an educational/informational sales tool to make it easy to shop for the bulb needed.